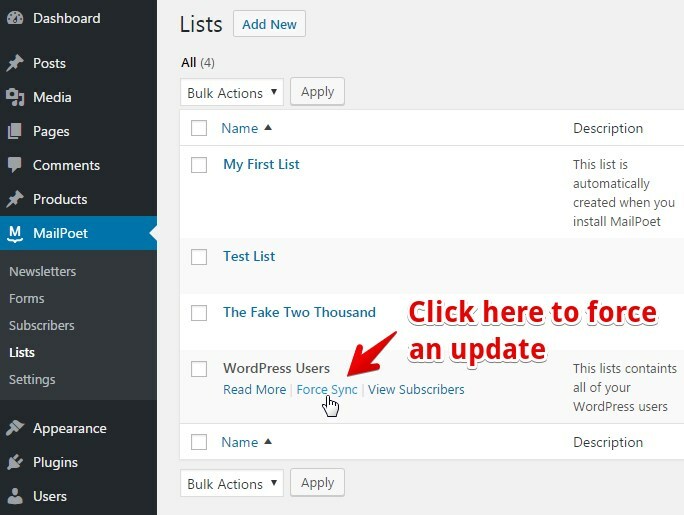 MailPoet automatically creates a special list called WordPress Users. This list contains all of the existing WordPress user accounts on your website. This is especially useful if you run an eCommerce store or a membership-based website and want to send e-mail newsletters to your customers/members. 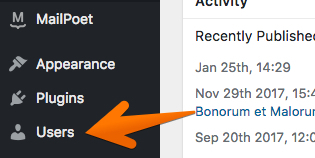 The WordPress Users list does count towards the 2,000 subscribers limit of the free version of MailPoet. For example, if you have 1 "regular" subscriber and 2,000 WordPress users, you'll need to upgrade to Premium in order to send.